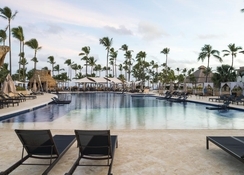 Royalton Punta Cana Resort and Casino with its unique design, fabulous services and an exceptional way of understanding luxury will enable guests to have a memorable experience during their stay. Located on a beautiful beach, this resort is the ideal destination even for the most demanding travellers. Guests of the hotel can have a good time with their family at the water park, which the hotel offers access too. Too lazy to step outside the resort? Don’t worry, there’s an outdoor pool dotted with sun loungers which will surely help you relax and rejuvenate. The resort also houses splendid restaurants and bars. 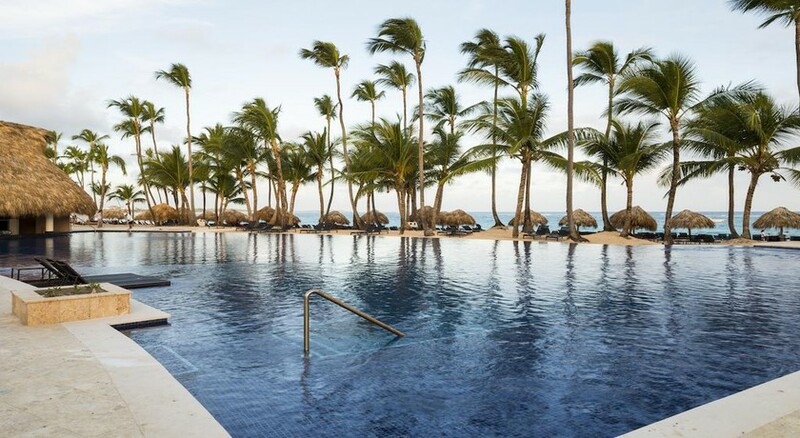 Located on the white sands of Playa Bávaro, just 30 minutes from the Punta Cana International Airport, the Royalton Punta Cana Resort and Casino is the preferred destination for tourists who feel a preference for luxury, comfort and style. 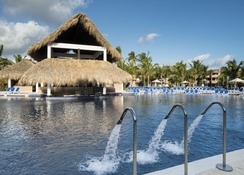 You can enjoy access to some of the facilities of Memories Splash Punta Cana, a resort full of fun guaranteed to boost your family vacation, with the excitement of an Aquatic Park for children of all ages. 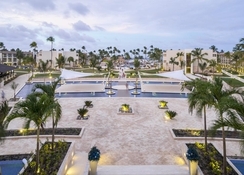 Royalton Punta Cana Resort and Casino offers a total of 485 rooms of different categories with breath-taking views of the tropical garden or the stunning sea. 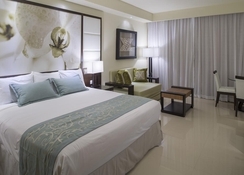 Many of the rooms are also furnished with comfortable sofa beds. 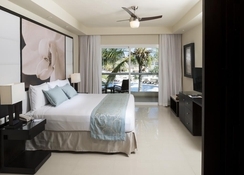 For your convenience, the hotel also has rooms with internal connection, which allows communication between two luxury rooms, being ideal for families and groups traveling together. 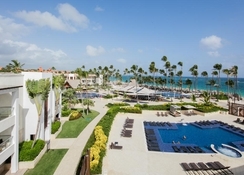 Royalton Punta Cana Resort and Casino offers a great selection of dining options. You can book breakfast, lunch, dinner and all inclusive. The hotel also offers snacks as well as non-alcoholic drinks and alcoholic beverages. The hotel offers an outdoor pool. The hot tub in the bathroom area promises total relaxation. Refreshing drinks are offered at the pool bar. For those who need to move, tennis, beach volleyball and mini golf are offered on the premises. Water sport enthusiasts can try their hand, or practice kayaking and snorkelling. The hotel's sport and leisure offer includes a gym and yoga. The leisure offer includes entertainment program for children, disco, children's club and casino.